The Central Scandinavian Borderland is one out of five pilot cases within the TENTacle project. The report can be downloaded here. The proposed strategy will be presented to the Värmland-Østfold Border Council, in May 2019. It focuses on the region between the Oslofjord and the Vänern lake in the east, Hedmark county in the north and Bohuslän/Gothenburg in the south. The region falls within the Nordic Triangle, between the capital cities. The report describes the opportunities for establishing more efficient and climate friendly transportation across the borders. Today most of the transport goes on roads and by air traffic. The report is exploring how millions of air flights can be shifted to high speed railways. TENTacle project organized its´ final conference in Brussels 6th March together with other projects. Present at this conference were EU parliamentarians, national and regional decision makers, experts, project workers and others. Read more about the conference here. Upgrade the Kongsvinger railway, and establish a fast connection to Gardermoen and Hovedbanen, and and upgrade the Värmland railway Charlottenberg-Karlstad. 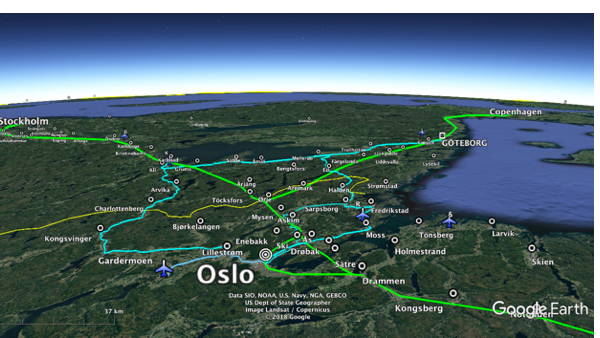 Finalize the Intercity network construction Oslo-Halden and extend it to Sweden, including a new tunnel Halden-Kornsjö. The first picture below shows the connection between the new Oslofjord railway bridge and the border crossing railways. The HSR lines are green. 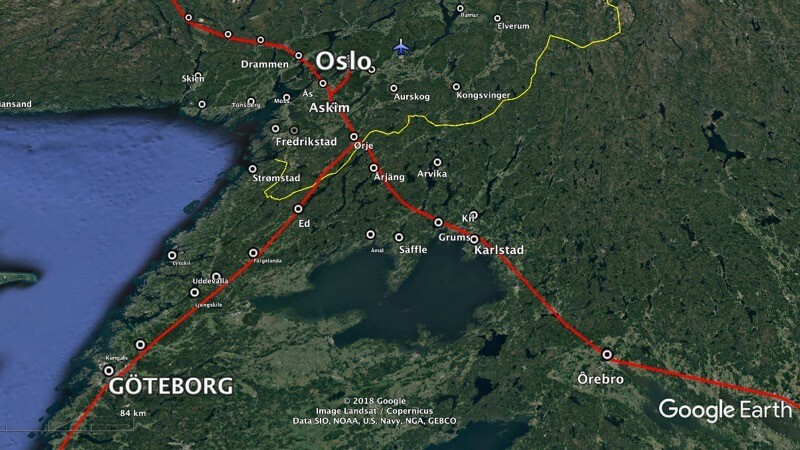 In the second picture the HSR lines are red and it shows how the high speed trains from Gothenburg and Stockholm will meet in Ørje, 80 km south east of Oslo, and will use the same railway to Oslo-Drammen-Bergen. 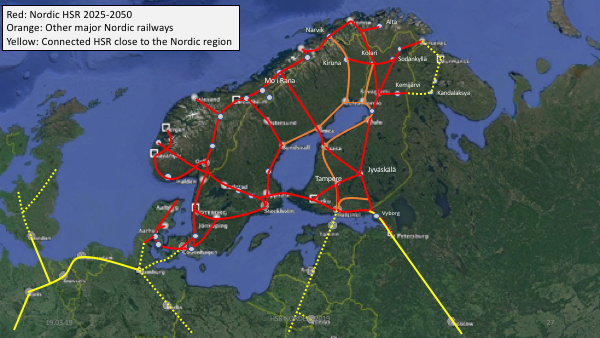 The third picture is an illustration about how the high-speed railways can cover a big part of the Nordic region and connect cities and regions which today are mostly connected by air traffic, lorries, busses and private cars. 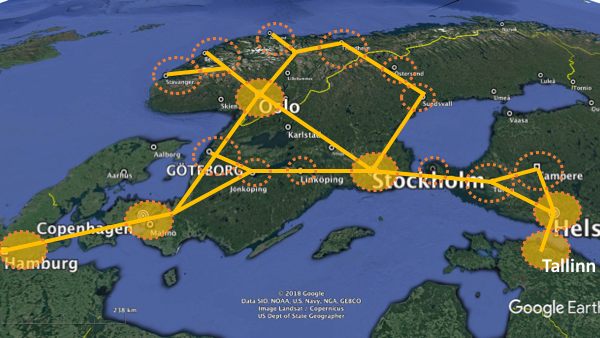 The last picture shows how the comprehensive high-speed network can reach all parts of the Nordic region, linked to the TEN-T core network and beyond.